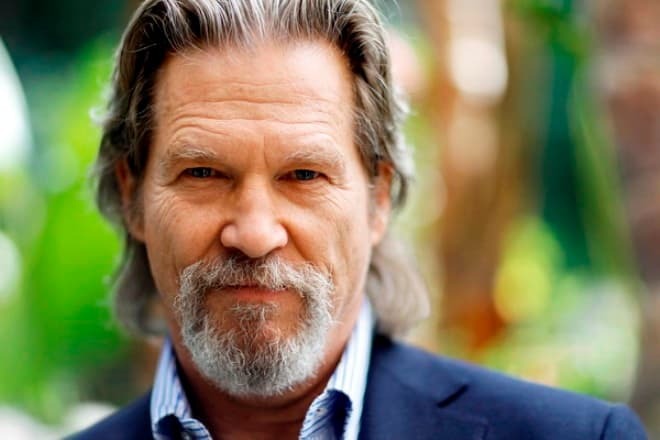 Jeff Bridges is an American actor, the owner of the Academic Awards and Golden Globe Awards. Besides many other favorite movies, Bridges also performed in the cult films Tron and Big Lebowski which failed in hire but influenced the movie production, culture and society greatly. 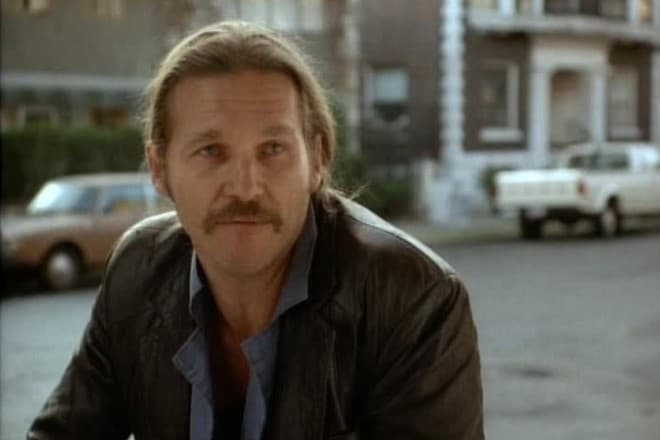 It seems that Jeff Bridges was destined to become the actor. He was born on the 4th of December, 1949 in the family of actors Lloyd and Dorothy Bridges. His brother Beau has gone into the footsteps of his parents too. Bridges brothers studied acting skills at the Russian actor Mikhail Chekhov who was A.P. Chekhov’s nephew. Jeff for the first time appeared in front of the movie cameras when he was a four-month-old baby. It was one of the episodes of the movie The Company She Keeps. After he had finished the school, he was sure that he wanted to connect his life with cinematography. Jeff was working for some time as a coast guard so that he could pay or his studies. At the same time, he took part in the amateur performances of his father. When the guy improved his financial situation, he went to New York where he finished the acting courses of Herbert Bergdorf and Uta Hagen. 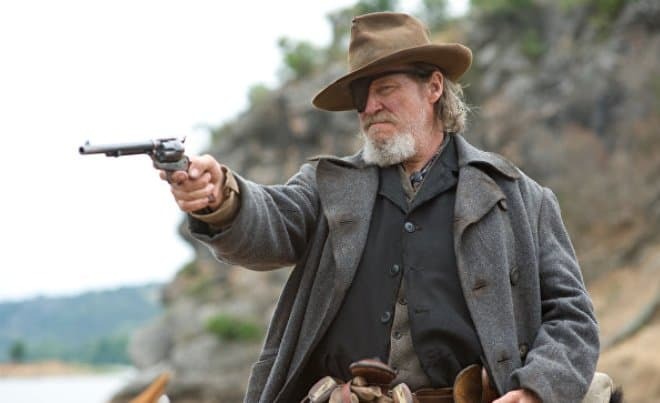 As it was mentioned earlier, Jeff Bridges began to take part in the movies since a very early age. For the second time (at the age of eight) he appeared in the series Sea Hunt where he acted together with his father. The movie The Last Picture Show became the first significant acting experience of Jeff Bridges. The budget of the movie wasn't big, and the critics' response to it was somewhat controversial. Despite all these things the project managed to earn in the hire the sum which was ten times more of the money spent on its production. It was also successful for Jeff - the actor was nominated for the Academic Awards for the first time. The actor’s popularity was growing step by step, and he began to receive more significant roles. In 1974 he appeared in the crime drama Thunderbolt and Lightfoot not without being noticed. He again took part in the competition for Oscar Awards for Best Supporting Actor. 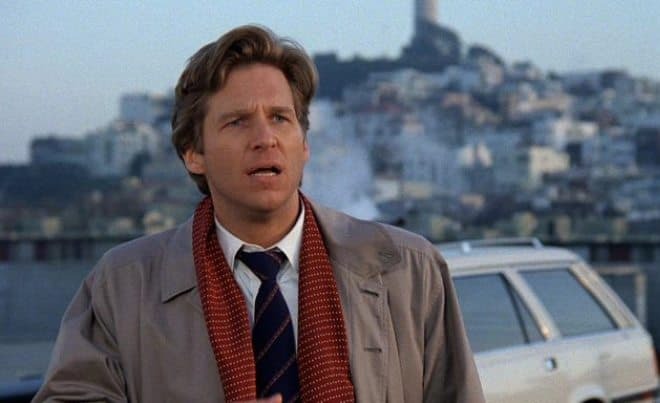 In 1982 Jeff Bridges performed the major role in the American science-fiction movie of Walt Disney studio under the title Tron. The actor appeared as the character of the young developer who gets to the "digitized world." This picture has a paradoxical destiny. The tape Thron had a significant impact on the history of cinematography and CGI, as it became the first picture in which the computer graphics were used. Moreover, there was demonstrated the simplified computer face animation. But the movie itself didn't gain popularity, though it created an extremely successful franchise. Just the profit from the arcade games turned out to be higher than the box-office of the movie. Everything has changed after the movie Starman was premiered. In this fantastic movie, Jeff performed the role of the alien who fell in love with the woman from the Earth. The actor again received the chance to compete for Academic Awards already as a performer of the leading role. One more nomination didn’t bring him the victory, but he began to receive many worthy offers from the directors. The images embodied by the actor are vivid and unforgettable. Among them, he performed the role of the wealthy businessman in Jagged Edge, the ex-prisoner in the movie American Heart, the architect in the psychological drama Fearless. In 1996 Bridges took part in the melodrama The Mirror Has Two Faces in which Barbra Streisand appeared in the leading female role and as a director as well. Later the actor took part in the favorite comedy of Coens under the title The Big Lebowski. 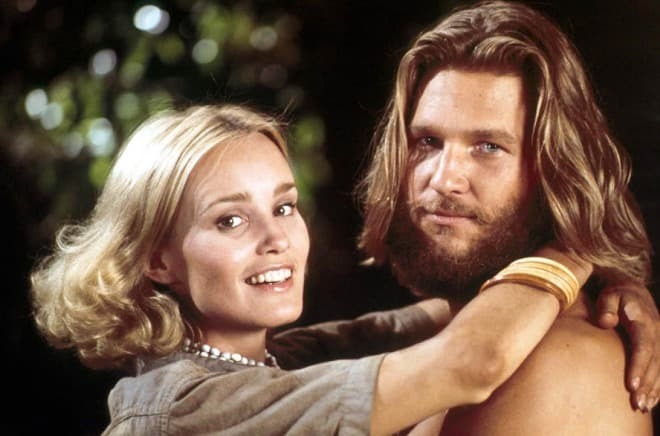 In this movie, Jeff Bridges appeared in the leading role of the unemployed pacifist who due to the actor's long hair and tall height (185 cm) looked almost as a Biblical character. This character becomes a courier who has to transfer one million dollars from one millionaire to the kidnappers of his young wife. This mission turns into a failure. The hero together with his friend and other eccentric guys met during the plotted course have to get out of this problematic situation independently. This picture is also quite paradoxical. 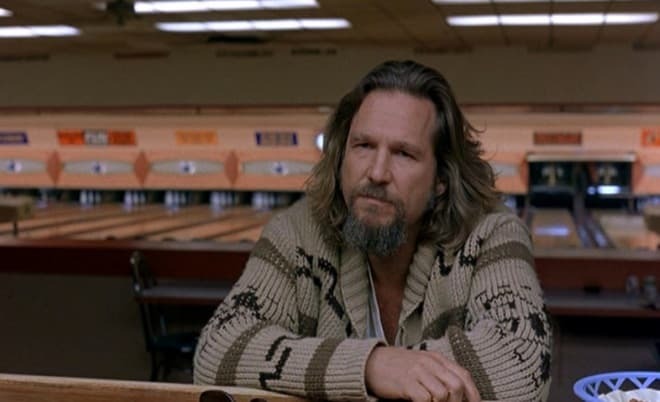 The Big Lebowski was met with restraint by the critics and ranked as the worst movie directed by the Coens. Moreover, it wasn’t successful in the hire. But at the same time picture gained many admirers and became "the first cult movie of web epoch." This movie started the specific subculture or even the philosophical movement. Each year there are held the festivals dedicated to the leading character and the fans write the books and lead the websites with the analytics and their ideas on the picture’s plot. Moreover, the phrases of the characters became caught even among those who hadn’t watched this movie. 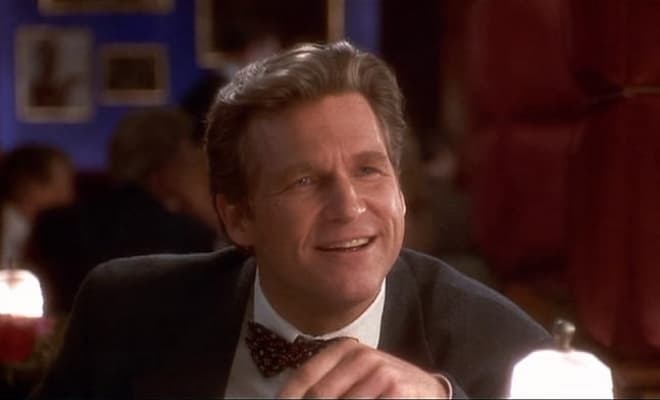 The picture Contender which brought Jeff Bridges his fourth nomination for Academic Awards in 2001 received the high appreciation of the movie critics. The spectators saw the actor in the image of the American democratic president. The actor demonstrated the greatest degree of his acting skills in the picture Crazy Heart. Together with the Academic Awards, the actor enriched his asset of the awards with the Golden Globe and Independent Spirit Awards and also the Screen Actors Guild Awards. In 2008 the actor got a significant negative role in the fantastic blockbuster Iron Man of Marvel Studios movie company shot by the same-name comics about the adventures of one of the characters. 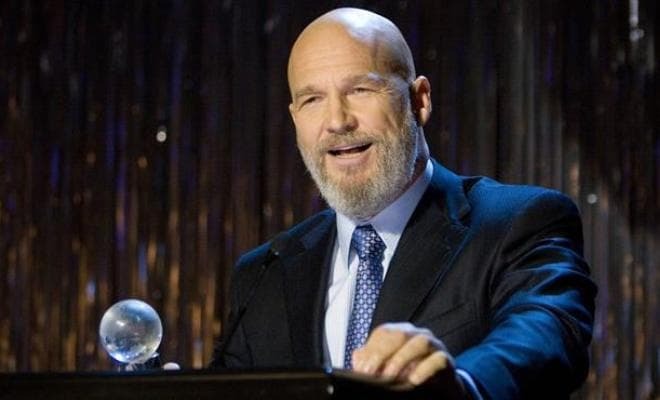 Jeff Bridges performed the role of the weapons master Obadiah Stane, who at the beginning of the movie was the friend and business partner of the future Iron Man, the genius and billionaire Tony Stark (performed by Robert Downey Jr.). The difference in the points of views of the partners in the company’s business management becomes one of the subject conflicts of the picture. While Tony Stark is aiming at selling the weapon just for the use for good purposes, Obadiah Stane is secretly working with the terrorists, and crime groups. In 2010 the actor again returned to his role of the developer Flynn in the fantastic picture Tron: Legacy. The film tells about the grown-up Flynn's son who is looking for his father who got lost in the digital world. Due to the role in this picture Bridges became the first actor for whom there was created the rejuvenated computer model. Besides, in 2010 the actor performed the major role in the new movie of brothers Coens – the western under the title True Grit. In 2013 Bridges played the leading role in the fantastic comedy R.I.P.D. which tells about the police officers who search for the dead souls which managed to get to the world of alive people. 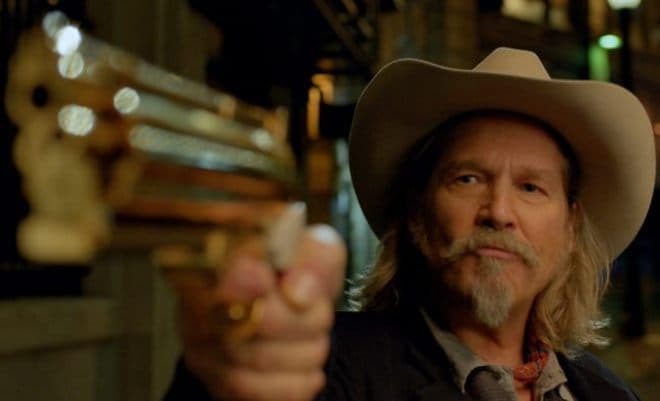 Jeff Bridges in the picture R.I.P.D. In 2015 there came out the fantasy movie Seventh Son directed by Sergei Bodrov Sr. in which Bridges received the leading role. The same year the actor voiced-over The Aviator in the French-Canadian animated version of The Little Prince. Since 1977 Jeff has been married to the photographer Susan. In their family, they have three daughters - Isabelle, Jessica, and Hayley. In 2000 Jeff Bridges became a grandfather. There is information that in 1960 the actor used drugs for some time. Though, he managed to cope with the drug addiction. In 1983 he founded the charity Stop Hunger Foundation. There was organized the TV-marathon to collect money in which participated Gregory Peck, Jack Lemmon, Kenny Loggins, and Bert Lancaster. In addition to cinematography, Bridges is also fond of the music. In 2000 he recorded his first music album Be Here Soon. A year later there was released his second album. The show business star also finds spare time for other things – photography and painting. The result of his creative work from time to time appear in the big art galleries. 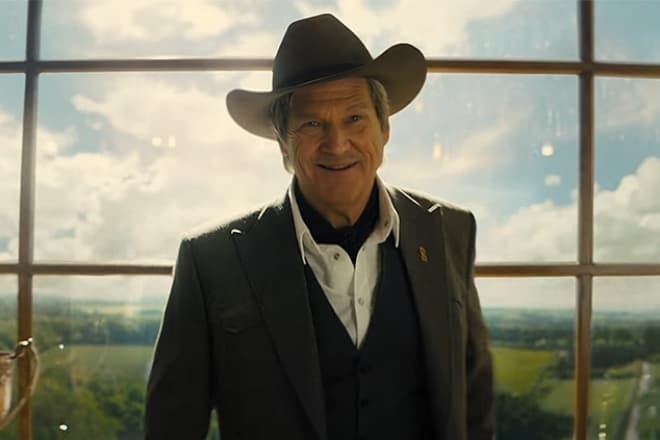 In 2017 Jeff Bridges took part in the popular spy comedy Kingsman: The Golden Circle. The movie continues the plot about the adventures of the British superspies, but this time the British colleagues from the U.S. appear in the plot. The actor appears in the role of the head of the American secret organization "Statesman" code-named Champagne. Besides, in 2017 the actor played a role in the drama Only the Brave which is based on the biographies of the members of the Granite Mountain Hotshots fire brigade which faced one of the deadliest fires in the history.